The San Diego Association of Governments announced the start of construction for the Mid-Coast Trolley project on Saturday, marking the occasion with a groundbreaking ceremony at the UCSD Preuss School. 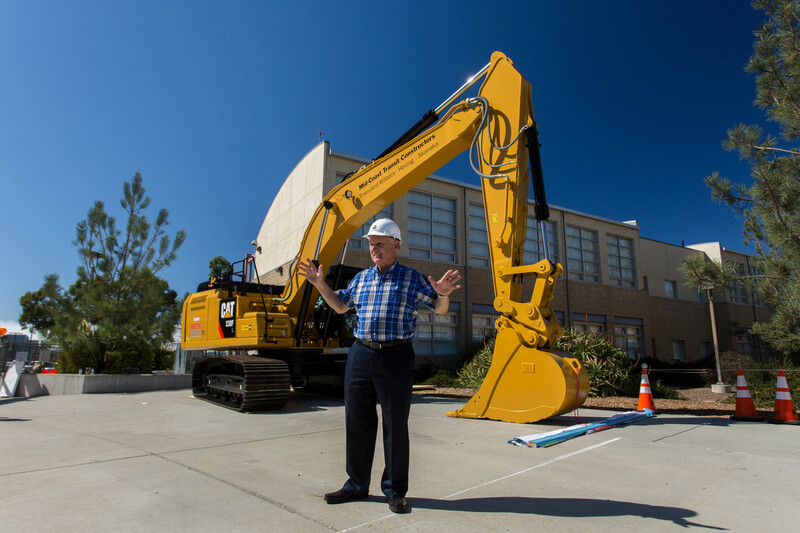 The celebration included live music, free food and speeches from notable public figures invested in the project such as Rep. Scott Peters (D-52), Rep. Susan Davis (D-53) and UCSD Vice Chancellor of Resource Management and Planning Gary Matthews. According to UCSD’s project website, the light rail is expected to be completed in 2021 and will extend the city’s MTS Trolley service from the Old Town Transit Center to UCSD and University City. Nine new trolley stations will be built at locations including the VA medical center, Pepper Canyon Hall, Voigt Drive and Executive Drive. SANDAG Chairman of the Board of Directors Ron Roberts also spoke at the event, claiming that the project, upon completion, would service up to 20,000 commuters on a daily basis. Matthews spoke to the UCSD Guardian at the event about the benefits of the trolley system, saying that it would open up more affordable living areas to the University’s commuters. When asked about the administration’s plans regarding student access to the light rail, Matthews said that it is intended for the light rail to be included as part of the MTS bus sticker plan and that MTS is working on an application to replace the sticker for those individuals with smart phones. Construction projects such as the upcoming bridge on Gilman Drive and the renovation of the Westfield UTC Transit Center have made it difficult for students, staff and faculty to find adequate parking both on and off campus. Temporary parking has been implemented in areas such as Expedition Way; these measures, Matthews explained, have not been well-received but are necessary in the short-term. The light rail project is expected to impact parking further; according to UCSD’s project website, a significant portion of lot P705 and a small portion of lot P701 will be closed off for the duration of construction, whereas lot P702 will be closed permanently. Matthews spoke about the challenges of balancing the construction with the university’s parking needs, citing a shift of focus away from temporary parking towards incentivizing public transportation. Matthews listed some specific measures that are expected to ease the strain on the university infrastructure, such as the completion of the new Athena lot on East Campus and its shuttle that connects to West Campus, the addition of more bicycle lanes and the current ban on freshman parking permits. “For the next two to three years it’s going to be tight, but I think [the trolley] provides a wealth of opportunity that had not been there before,” Matthews said. According to the SANDAG website, the Mid-Coast Trolley project has a budget of two billion dollars, half of which will come from the Federal Transit Administration. The city of San Diego raised its portion of the budget with a county-wide sales tax known as TransNet, which will also go towards the trolley’s cost of operation.